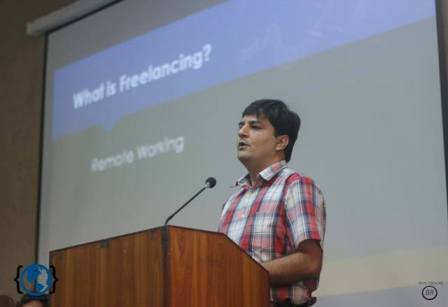 Formanites Computing Society organized a talk on Freelancing by Mr Kamran Shafi in S-009 on 31st October. Mr Kamran Shafi is the CEO of Freelance Factory and he has worked as a freelancer for many years as a web developer, designer and much more. He’s known as WordPress Guru in the public. 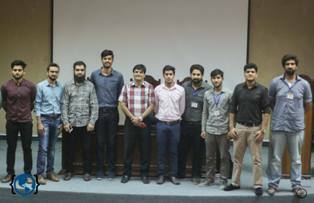 Kamran Shafi explained to the attendees of the lecture what freelancing was and how to get into the field of Freelancing. 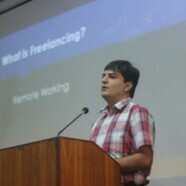 He also told the benefits of freelancing and the skills you can improve and learn through freelancing. He also shared his personal experience narrating how he got to know about freelancing and how he tweaked his skills as a freelancer to earn what he has today. 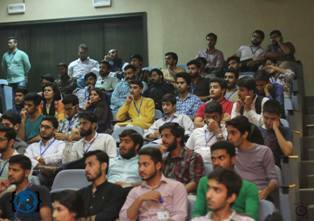 A big number of students attended the talk and many even sought his guidance after the lecture. 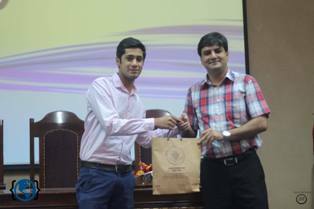 Afterwards, Mr Shafi was presented with souvenirs and served refreshments. He has shown keen interest in conducting several extensive freelancing workshops in FCCU that will benefit almost every student and ensure they are improving their skills as freelancers.